Ever since we broke the story about the iPhone X’s $1000 price tag I’ve wondered what the buying public’s response would be. Today, almost six months after the X’s launch, the verdict may still be out. 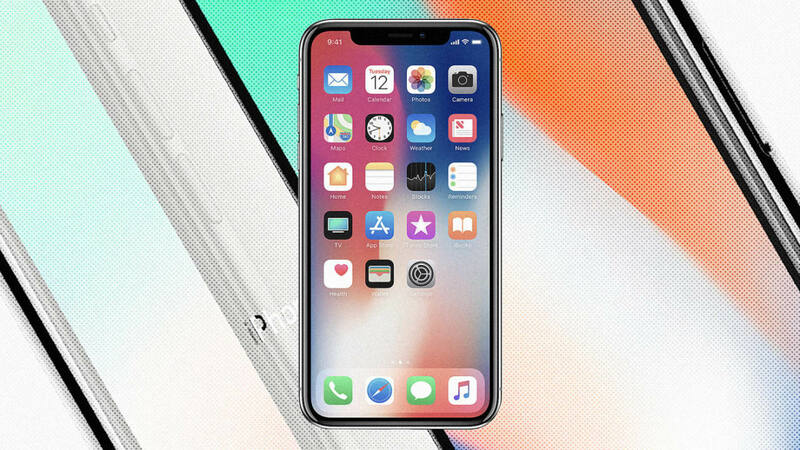 The iPhone X had a very promising first quarter. It looked like consumers really would pay more than a grand for one of those shiny things that have become the organizational center of our lives. “iPhone X surpassed our expectations and has been our top-selling iPhone every week since it shipped in November” Apple CEO Tim Cook told analysts after reporting strong results for the holiday quarter. Apple doesn’t break out revenue from individual phone models, but a higher iPhone average sale price (ASP) strongly suggested heavy sales of the X and the iPhone 8 Plus. “With the declines in iPhone X orders and the inventory issue at TSMC at record highs which basically reflect a need to burn off inventory. Why? Because the iPhone X is dead,” Campling wrote in a research note, adding that Apple would likely discontinue the phone this summer. Campling believes its the X’s price that’s preventing people from buying. For Morgan Stanley analyst Katie Huberty the soft chip demand was one of several factors that point directly to weak iPhone sales later this year. Accordingly, on Friday she dramatically revised down her team’s estimate of iPhone sales for the June-ending quarter from 40.5 million to 34 million. “China smartphone activation data points to a reversal in Apple share trajectory with losses through March that presents a meaningful headwind in the largest smartphone market,” the analyst wrote in the research note. To make matters worse, the The Wall Street Journal reported Friday that LG may not be able to provide the pricey OLED displays for high-end iPhones after all. Apple had hoped LG would help it at least offset its reliance on Samsung for the displays, but that seems in doubt. It was all enough to spook investors. Apple shares dropped 4% in trading on Friday. Of course Apple watchers have heard these doom-and-gloom stories many times before, sometimes involving other products which turned out to be doing OK. And more than a few people people called out Mirabaud’s Campling for his announcement of the iPhone X’s summer demise. That’s certainly plausible, although when I saw Campling’s comments I quickly recalled an early March survey conducted by Piper Jaffray. The firm asked the following question: “You currently own an iPhone, yet you didn’t upgrade to (what Apple believes is) the best Apple phone yet, the iPhone X. Why?” Most of the answers Piper Jaffray received were at least related to price. 31% said “it’s too expensive,” balking at the iPhone X’s $999 and $1,149 price points. 44% said “my iPhone works fine,” a decision that’s necessarily influenced by the cost of the alternative–upgrading. I also remembered the news from earlier this week that Apple may be planning to release a number of far less expensive phones this September. The usually reliable analyst Ming-Chi Kuo of KGI Securities said in a research note that Apple would introduce a 6.1-inch dual-SIM iPhone with a price tag of between $650 to $750, along with a single-SIM model that could be priced as low as $550. Apple is also expected to refresh its lowest-priced phone, the $349 iPhone SE, within the next couple of months. In short, there’s evidence that Apple may be about to cater to the many consumers who will never shell out a grand for a phone. The iPhone X’s price tag is a particular issue in the world’s biggest smartphone market, China, where iPhone sales have been much dampened by less expensive phones from domestic companies like Huawei, Xiaomi, Vivo, and Oppo. Some macro factorsare at play, too. The global smartphone market is contracting. And people are holding onto their older phones longer. But no, I don’t think it’s likely at all that Apple would ditch the X this summer. The optics alone would be too negative. Kuo also believes Apple will announce some new high-priced phones this September that bear the “X” brand. These include a second generation of the X with a 5.8-inch OLED display, and a larger 6.5-inch version that might well be called the iPhone X Plus. There’s a good chance both these phones will start at $1000 or more, especially since Apple will likely be paying a premium price for the Samsung displays in them. If Apple ends the year with the portfolio of iPhones Kuo has outlined, possibly ranging from $349 to well above $1000, the company would come as close as it ever has to offering something for everybody. And we might have a much better idea about its confidence in the future of the ultra-premium category it established with the iPhone X.